William Adams offers great career opportunities for qualified tradespeople. Working as a Technician within the dealership network provides the skills, experience and exposure to develop your career to be the best at what you do or into senior positions, whatever your goal may be. 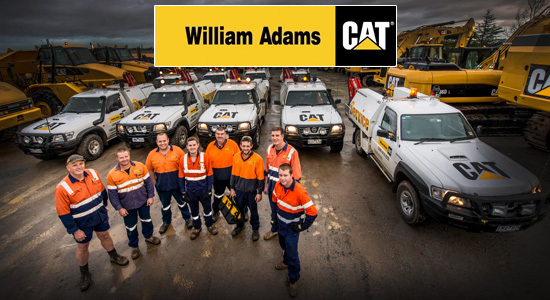 From the workshop to field service or being part of our customers’ operations on their sites, William Adams employs a number of qualified trades people to support our operations and product support services allowing us to continually grow within our industry. We are always looking for capable and experienced Diesel Technicians, Auto Electricians, Boilermakers, Heavy Commercial Vehicle Technicians and Machinists and Fitters to join our team. Along with the strength that comes with Caterpillar expertise and knowledge, you can benefit from competitive packages and a great culture.